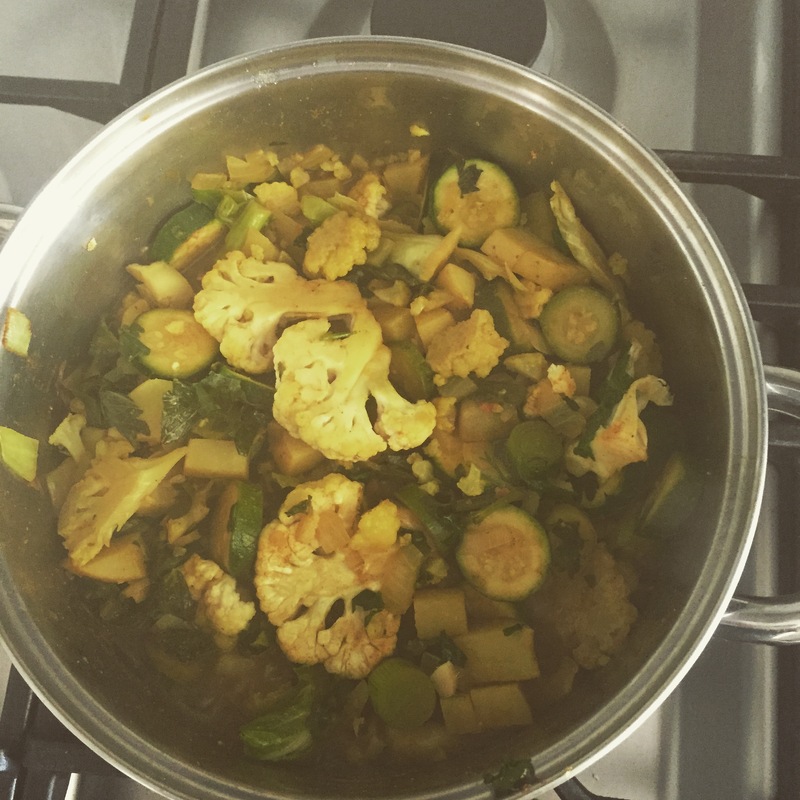 Anti-inflammatory vegetable soup – Goan style! It has become one of my most adapted and cooked recipes and we eat a version of this often at home. Today, I decided to make a vegetable soup version, and it is packed full of anti-inflammatory natural ingredients. I make a point of buying fresh organic vegetables. Heat the coconut oil in a pan and add the chill, onion, ginger and garlic and stir till onions glassy. Add in the salt and spices cooking gently for a few minutes. Enjoy garnished with lots of fresh coriander and a squeeze of lime if you want to amp up the flavor! If you are Banting, leave out the carrot! after blitzing the vegetables into the smooth soup and keep on heating until meat is cooked.